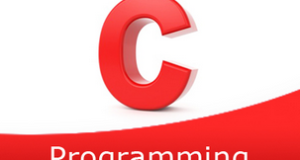 C program to remove the first occurrence of a character from a string – In this article, we will brief in on the numerous methods to remove the first occurrence of a character from a string in C programming. As you can see in the example given above, firstly, you need to enter the specified string of your choice. Then, you need to particularise a character which you want to remove on its first occurrence. Read the entered string and store the string into the character array variable ‘s’ using gets(s). 2) Read the entered character using getchar() and store the character in the variable c.
3) Iterate the first for loop till the end of the character of the string with the structure for(i=0;s[i];i++). Then initialize the i value to n. Here i indicates the length of the string. 5) If the character is equal to the element of the string, then shift the elements of the string which are right to the removed element, to one position left. 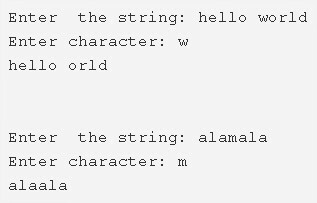 6) Print the string after removing the first occurrence of the character from the string. The main() function calls the stringlength(char *s) by passing the string as an argument. 2) The stringlength(char *s) returns the length of the string. 3) Then function deletechar(char *s, char c) will remove the first occurrence of the character from the string. For loop iterates through the string until the end of the string. Initialize the temp=0 and shift the element right to the removed element to one position left. b) If temp!=1 then shift the next element to the shifted element to one position left. After all the iterations of the for loop, we will get the string with the characters except the character which we want to remove. The function stringlength(char *s) returns the length of the given string. If the entered character is equal to the element of the string then temp=0 and shift the element right to the removed character to one position left. Increase the i value by 1. Call the function itself by taking the modified string, character to be removed as arguments. The function calls itself recursively until i<length of the string becomes false.